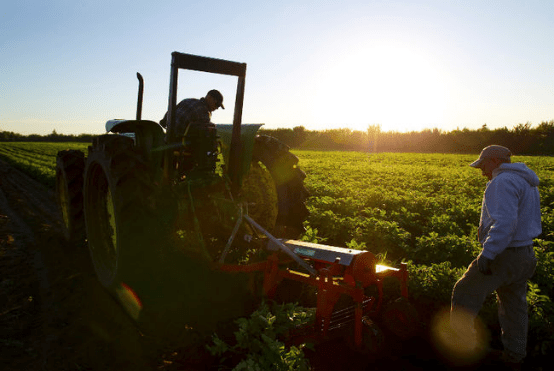 Urban Agriculture and prime agricultural land are essential to Alberta’s future as Alberta moves from “big and wide open” to “small and busy”. That’s the assessment of The Alberta Land-use Knowledge Network. Agrihoods are the latest indicator that urban agriculture is not a fad. Agrihoods are residential developments deliberately designed to incorporate urban farms inside their boundaries. Currently there are over 20 developments built or in development in the USA. 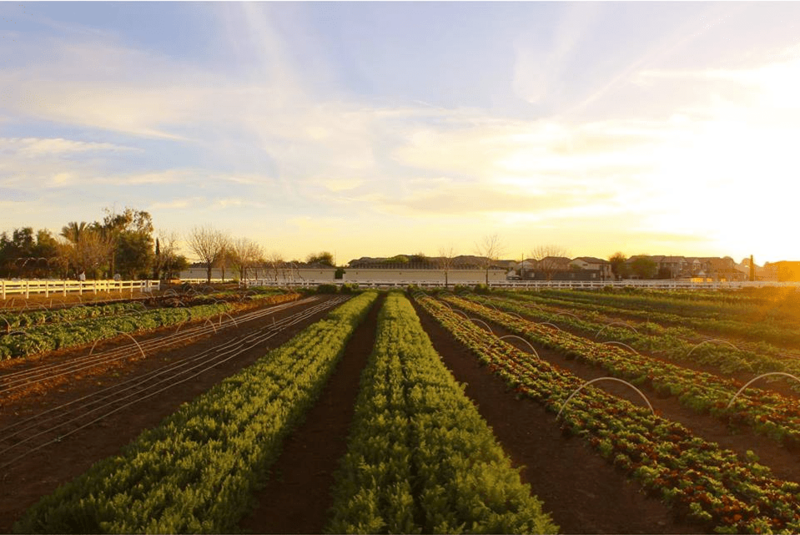 The New York Times highlights the rapid growth of Agrihoods in an article about Agritopia, a 160 acre development near Phoenix, Arizona with a 16 acre organic farm inside the subdivision with fruit, vegetables, chickens and sheep. Agritopia’s farm is a highlight of the Agritopia subdivision and celebrated as a benefit to the community. Riverbend Gardens is an example of how our community could easily support and create an Agrihood in Edmonton’s development plans. Right now, Riverbend Gardens is fighting for recognition in N.E. Edmonton’s Area Structure Plan and trying to avoid becoming pavement under a planned provincial four-lane highway and bridge. In the face of the NE development, there has been lots of debate about the merits of farms inside Edmonton. There has been debate about microclimate, unique soils, property rights and “right to farm”. Now, I could get on my aggie soapbox and preach about 10,000 years of soil development and how little Class 2 soil there is in Alberta, but I am also an engineer and I look for evidence. Alberta Agriculture has research land inside NE Edmonton just south of Riverbend Gardens. Why? It’s called the Crop Diversification Centre North. It has research ongoing on potatoes, bee-keeping and natural health products because of it’s ability to sustain diverse agriculture. In NorthEast Edmonton, there are greenhouses, berry orchards, tree farms, vegetable farms and Riverbend Gardens is the only farm with the right elevation to irrigate from the North Saskatchewan River. If this isn’t a unique agricultural area, I am not an agricultural engineer. Guess what! You already have the “right farmer” in the skills and passion of Janelle and Aaron Herbert and their staff at Riverbend Gardens. Riverbend Gardens is what agrihood developers would give their right arm for. When you support Riverbend Gardens, you are supporting the evolution of agrihoods and urban agriculture in N.E. Edmonton. One day, Edmonton will catch up to Phoenix. It is time to tell the City of Edmonton to catch up. The Alberta Land-use Knowledge Network did a video interview with Janelle Herbert in 2012 about why this land, this profession and the food they produce is so important to Edmonton’s future as a liveable city. She says it best. Janelle Herbert on Urban Agriculture. Growing Insights is their free on-line course about urban agriculture and local food.